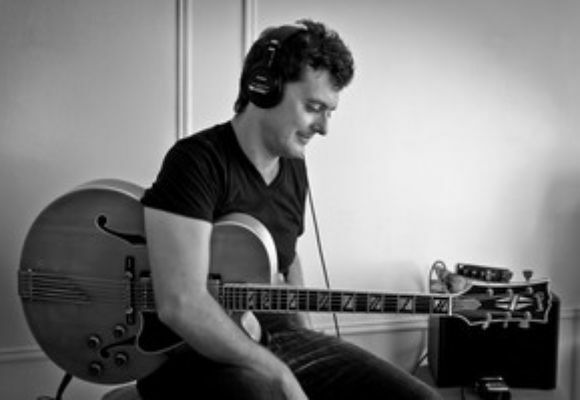 Peter Mazza is an exciting jazz guitarist born and raised in New York City. He obtained a Bachelor of Music from the Manhattan School of Music and a Masters Degree from Juilliard. He began his career by earning the leader’s role at a four-night-a week jam session at Augie's Jazz Bar, now called Smoke. He played there with Brad Mehldau, Joel Frahm, Chris Potter, Larry Goldings, Uri Cane, Christian McBride, Larry Grenadier, Greg Hutchinson, Jeff Ballard and Roy Hargrove to name a few. Peter went on to gain acceptance to the prestigious Thelonius Monk Jazz Competition, where he was ranked semifinalist. His groups have appeared at music venues including Dizzy’s Club Coca Cola, Birdland, The Knitting Factory and the Cornelia Street Café, plus countless NYC restaurants, events and "hot spots"- the United Nations, Rainbow Room, Rialto Room, The Allen Room, The River Club, The Yacht Club, Tribeca Grill, Le Bernadin, Brigewater's. He has performed guitar duos in NYC with Jonathan Kreisberg, Mike Moreno, Freddie Bryant, Pete Bernstein, Paul Bollenback, Kurt Rosenwinkel, Adam Rafferty, Jack Wilkins, Gene Bertoncini and many more. Most notable is his longstanding Sunday evening residency at the Bar Next Door at Lanterna Di Vittorio in its 10th successful year. His passionate, original compositions as well as his creative and virtuoso interpretations of jazz standards blend clean and fluent lines with colorful and inventive chord voicings. He creates imaginative ensemble arrangements as well as lush solo guitar pieces. In addition to his archtop jazz guitar, Peter plays an acoustic guitar in an array of altered tunings when performing, and has also used a Roland RC-20 Pedal to create live recorded loops that provide a base of ambient textural grooves that underpin the interactions of the group. Peter has two active trios, one with Bassist Marco Panascia and percussionist- Rogerio Boccato and the other, with Saxophonist/Composer- Tim Hayward and Bassist- Thomson Kneeland. Musicians he has featured and collaborated with recently have included: Jacam Manricks, Jon Irabagon, Patrick Cornelius, Donny McCaslin, Will Vinson, John Ellis, Harmonica virtuoso- Hendrik Meurkens, Trumpeter- Etienne Charles, Bassists- Ben Williams, Hans Glawischnig,Yasushi Nakamura, Joe Martin, Johannes Weidenmueller, Matt Penman, Essiet Okon Essiet, Drummers- Ari Hoenig, Bruce Cox, Mark Ferber Organists- Brian Charette and Jared Gold. Peter was signed to Late Set Records out of Tokyo (2007)who produced his debut release of "Through My Eyes" featuring 8 originals and 2 standards, rearranged. He was invited on two extensive tours there to present his music. He is currently recording a solo guitar CD that will be available this Fall.